Given its crushing trench nature and use of large-caliber artillery, World War I saw some of the most devastating wounds suffered by soldiers in the history of warfare. 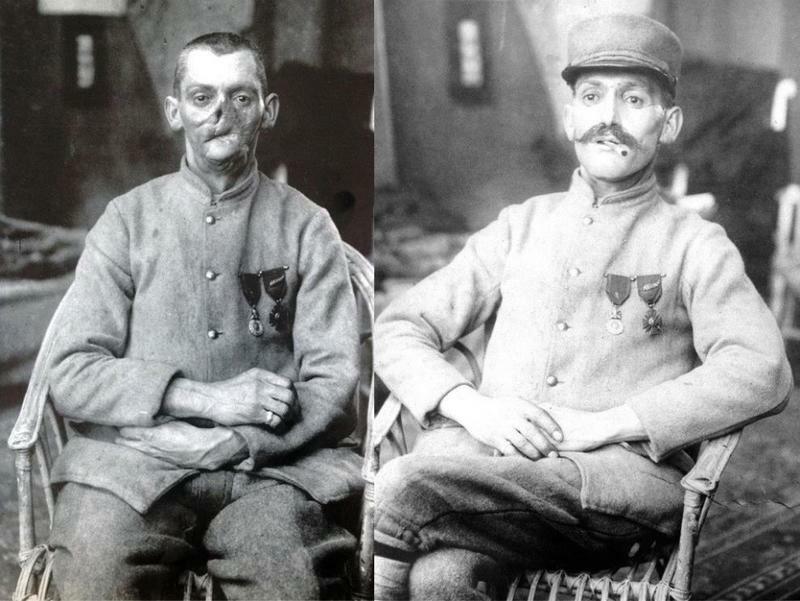 Before the days of sophisticated reconstructive and plastic surgery, physicians were tasked with covering the scars, gaping holes and gashes streaked across the faces of thousands of veterans. Combining art with science in pursuit of the greater good, surgeons and sculptors worked together to create masks to conceal these devastating, identity-consuming histories from the veteran and the public, allowing veterans to lead something of a normal life following their return home.